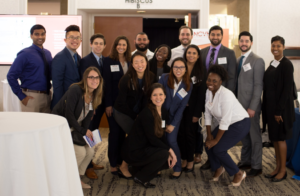 On December 2nd, 2017, Mount Sinai Medical Center in conjunction with Florida International University Herbert Wertheim College of Medicine, held the 3rd Annual Interventional Radiology Medical Student Symposium as part of the ongoing New Cardiovascular Horizons (NCVH) conference at the Hyatt Hotel in downtown Miami, Florida. 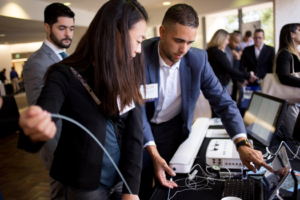 This event provided students the opportunity to attend dedicated Interventional Radiology sessions during NCVH Miami, expanding their knowledge of IR, residency, research, and provided a platform to network with residents and Interventional Radiologists. 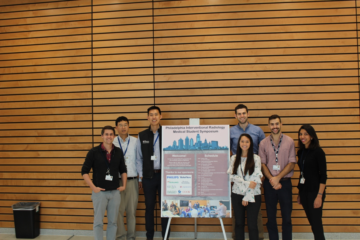 Overall, the response from students was positive, and many were appreciative that this event was organized for medical students. Over 20 medical students attended the event, representing medical students from Florida International University, University of Miami, Nova Southeastern University, and Ross University, as well as podiatry students from Barry University and one high school student from the Miami area who heard about the conference from his mentor, a current medical student at FIU. The half-day event consisted of a series of outstanding lectures covering many facets of Interventional Radiology. We began the day with a discussion on venous access by Dr. Thomas Scagnelli, followed by Dr. Paul Michael’s stimulating lecture, “Team Work Makes the Dream Work: A Multidiscipinary Critical Limb Ischemia Team Approach.” We subsequently had a Panel Discussion offering students the opportunity to ask questions of distinguished Interventional Radiologists and an Interventional Cardiologist. Next, we dove into a talk on Evidence Based Medicine and Research by Dr. Prasoon Mohan. 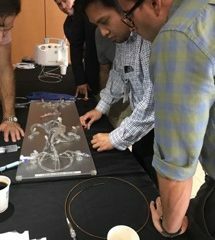 In the next session, students learned about Interventional Radiology Residency and the different pathways in a session led by Dr. Jason Salsamendi and Dr. Timothy Yates. The talks concluded with a session on how to get involved in IR held by Dr. Omosalewa Adenikinju, Dr. Brandon Oliveri, and MS4 Rebecca Le. In the final session, students broke out into small groups and toured the exhibits. 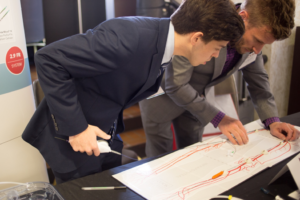 This granted students the opportunity for hands-on practice with simulators as they learned about the vast array of devices used in Interventional Radiology. Students were able to continue their day with afternoon sessions at NCVH, as they also had access to these lectures during their conference day. Again, medical students were very appreciative to have this symposium alongside the conference. In that vein (pun not intended), we would like to extend our thanks to the attendings at Mount Sinai Medical Center and the organizers of NCVH, the latter of whom who were instrumental in allowing us to have a space to organize our talks pro bono and allowed us the opportunity to interact with the product representatives to learn more about interventional radiology. We are appreciative to those who have volunteered their time to promote the education of young medical students and hopefully, future trainees. 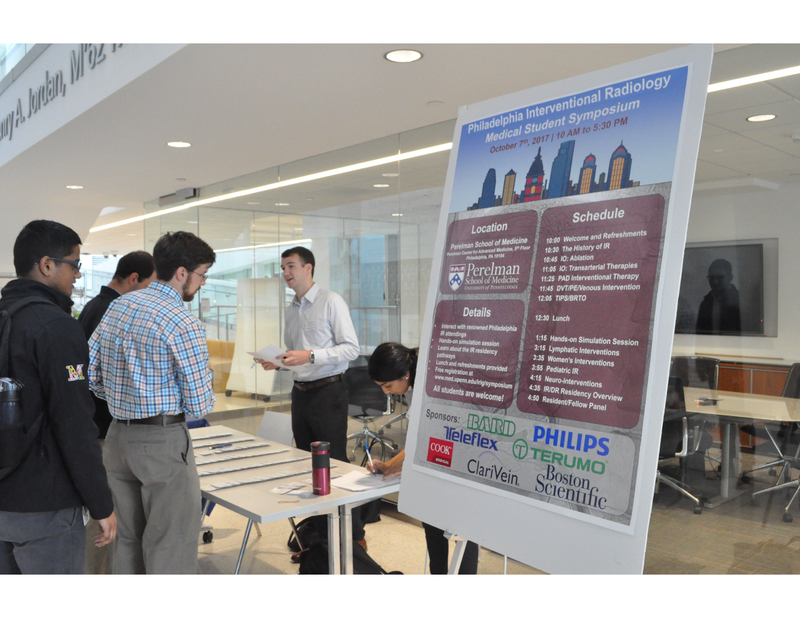 On October 7, 2017, the University of Pennsylvania Interventional Radiology Interest Group, in conjunction with Thomas Jefferson University and Temple University, held the inaugural Philadelphia Medical Student Interventional Radiology Symposium.